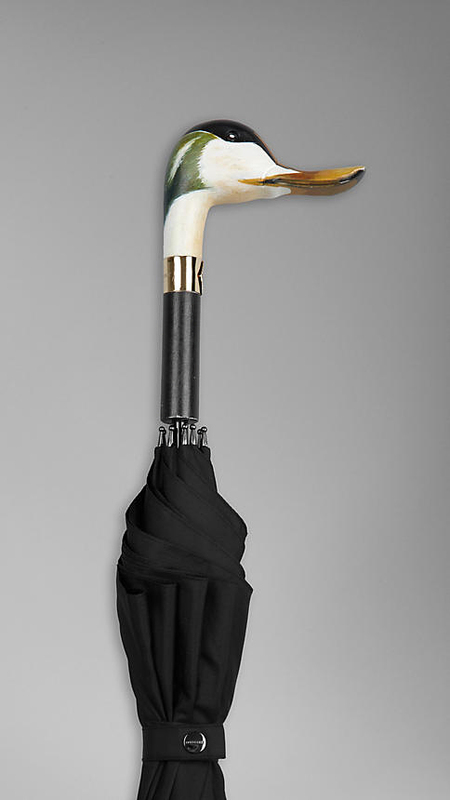 Famous fashion brand Burberry released their limited edition handcrafted A/W12 umbrellas. 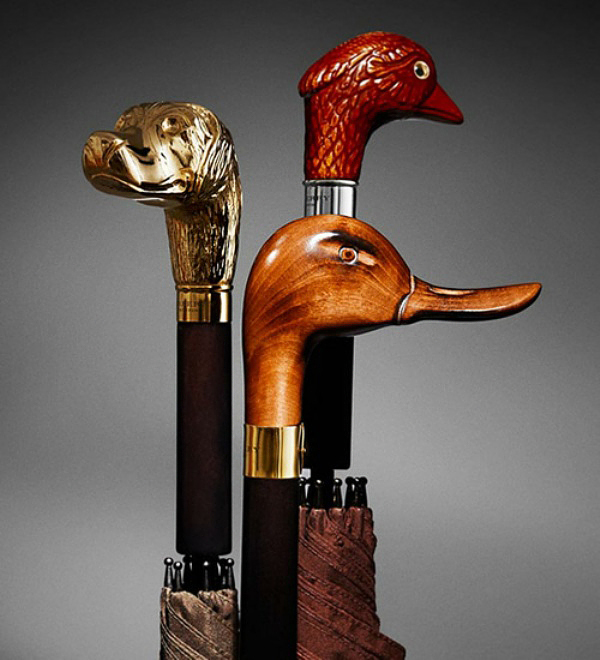 Their stunning handles are handmade by an Italian craftsman. 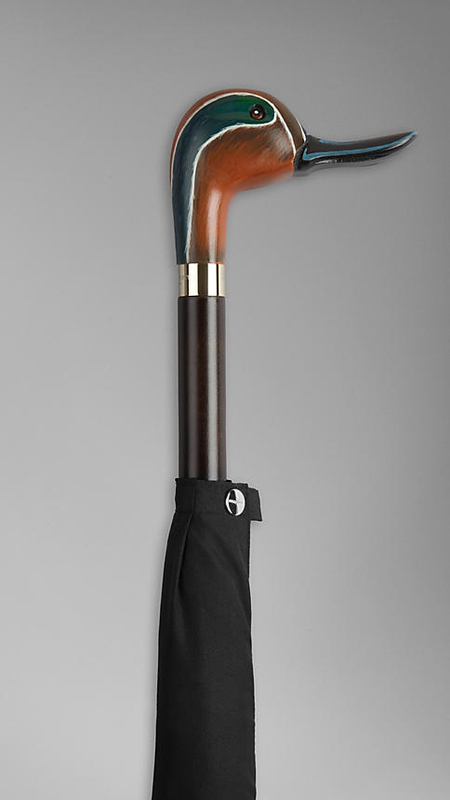 Each umbrellas features a polished finish and individual character where as no two are completely identical. 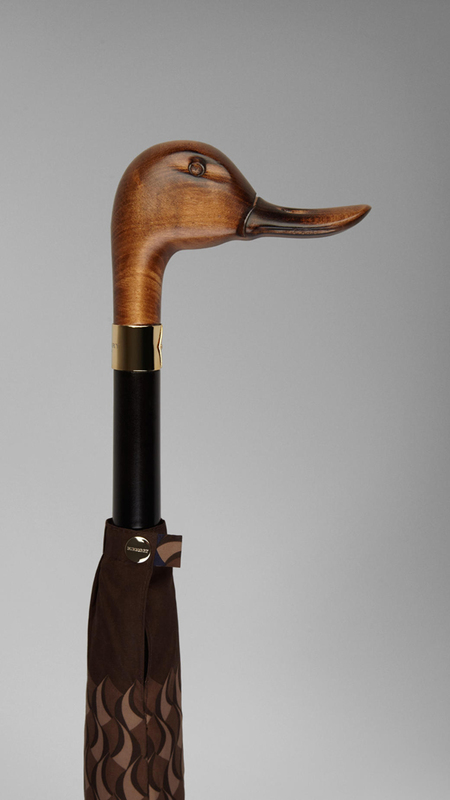 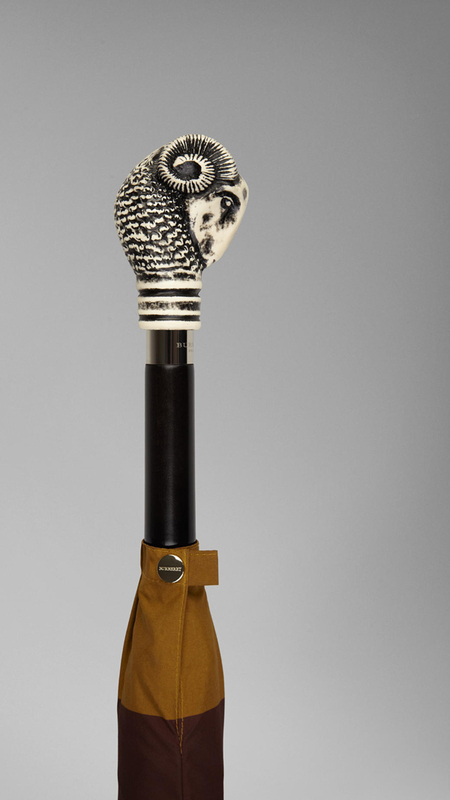 A variety of duck heads umbrella handles, ram and hound heads umbrella handles range from $850 to $1295. 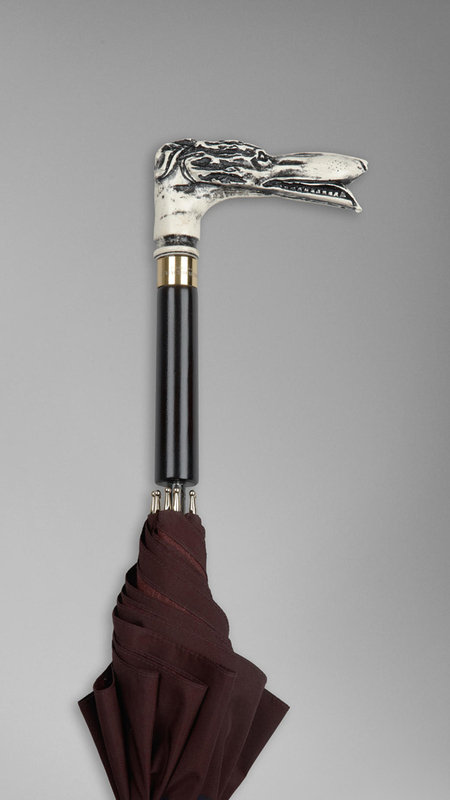 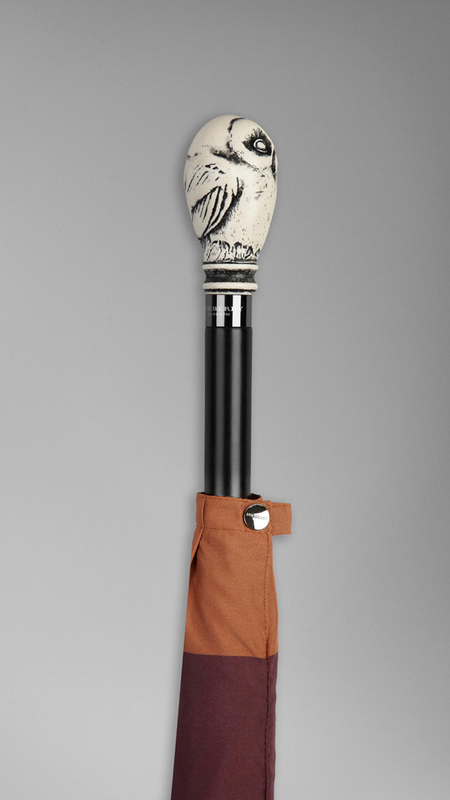 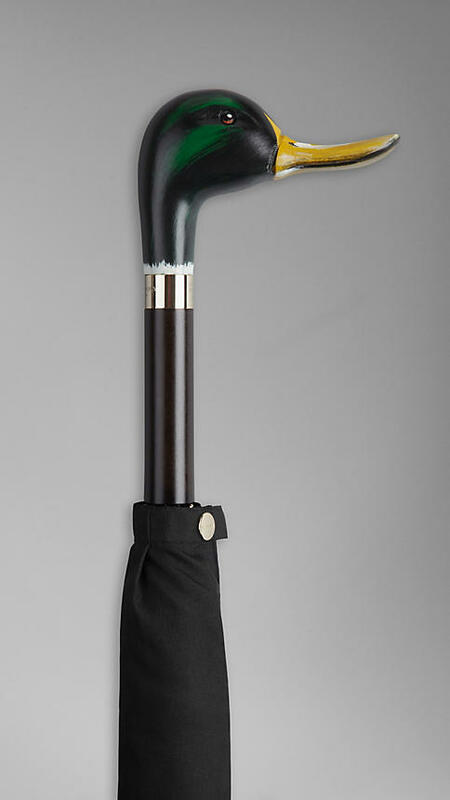 Take a look at these high fashion walking umbrellas having old school charm with a modern edge!